As we complete our journey around the zodiac exploring the love-based expressions and fear-based reactions of the signs, we finally arrive at the magnificent and mysterious twelfth sign of Pisces: the sign of the Sacred Heart. This entry was posted in Guest Posts and tagged Estoteric astrology, Pisces, Pisces Soul, Rising Pisces, soul astrology on March 12, 2014 by Pat. 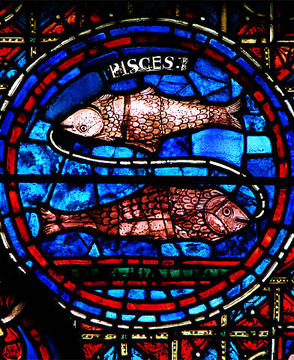 Detail of the zodiac window in the Chartres Cathedral. Image credit: Vassil, Wikipedia. This week brings a couple of significant shifts, with the Sun moving from scientific Aquarius to mystical Pisces. 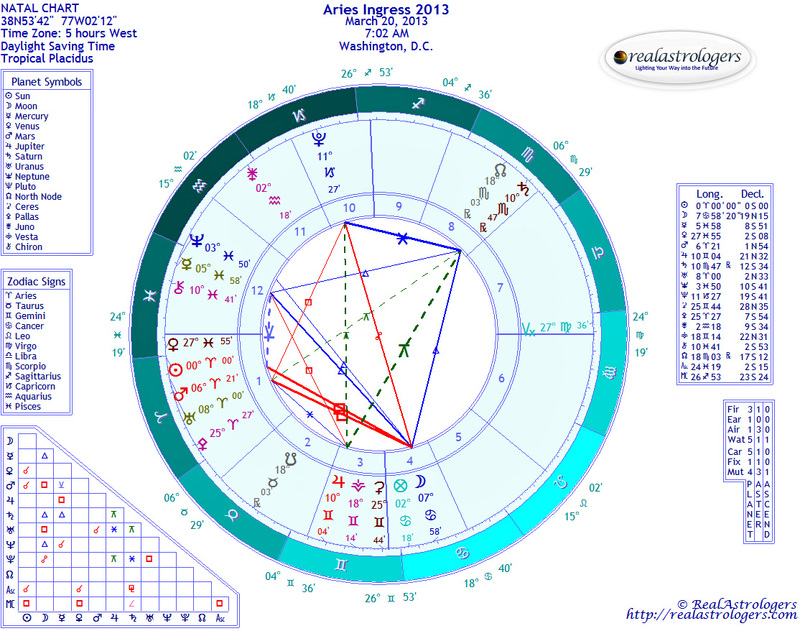 Also, the lunar North Node leaves Scorpio, where it has been since late August 2012, and moves into Libra. All the signs of the zodiac have a “positive” side and a “negative” side (from the human perspective), but none is as polarized as Pisces. Yet, it is also the sign of unity consciousness, where duality dissolves and the illusion of separateness disappears. This entry was posted in Forecasts and tagged lunar nodes, Mercury retrograde, Neptune, Pisces, Uranus-Pluto square on February 15, 2014 by Pat. A place of peace. © Pat Paquette, 2013. Well, we managed to avert a war, for the timing being. It’s hard to know how far the diplomatic solution will go, given the turbulent astrological weather coming up in the middle of October. This week promises to bring dramatic events, with a powerful triple conjunction of Venus, Saturn, and the lunar North Node, all in a supportive sextile to Pluto, just as the Lord of Darkness comes out of retrograde. The Full Moon in Pisces will heighten the tension. Mercury, planet of communications, remains in diplomatic Libra through the end of September. He squared Pluto on Saturday, September 14. On Monday, he opposes Uranus, and he squares Jupiter on Thursday. 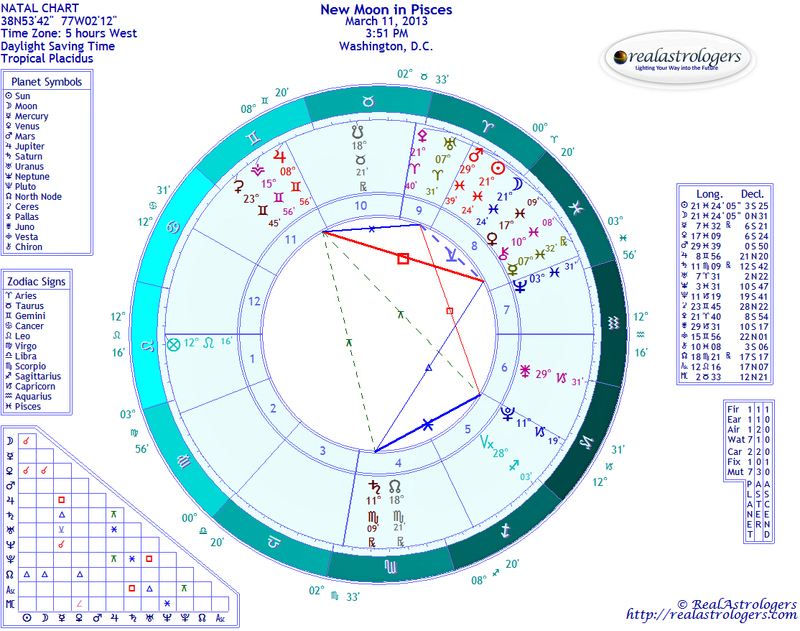 Although the formation isn’t super-close (you can’t see it in the Full Moon chart below, because I program my settings for tight orbs), there’s nevertheless a loose grand cross – similar to the one made by Venus in late August. The grand cross is inherently more stable that the T-square, and as long as it’s active, there’s a greater chance of averting a war through international diplomacy. There’s still a threat of military action; there’s certainly big talk of it, with Mercury in a dynamic sextile to Mars. Mercury’s square with Jupiter in Cancer suggests that the talk will be inflamed with appeals to national pride and religion. The wild card seems to be the Syrian opposition, which is mightily pissed off that they didn’t get the military strikes they were promised. The combination of a Venus-Saturn conjunction in Scorpio plus Pluto in Capricorn does suggest that someone was thrown under the bus. I wouldn’t automatically assume it was the rebel coalition, but they’re one of the better candidates. Mercury in Libra makes nice talk for public consumption, while the real dealing is going on far outside of public view. And with the ruthless planetary configuration of Saturn and Pluto, reinforced by a vengeful Venus, black ops are well within the realm of possibility. From an astrological perspective, it’s not surprising Putin provided a way out – or, at least, that he was the point man. As you’ll recall from previous forecasts, the current crisis spiraled out of control when Jupiter moved into a square with Uranus and opposition with Pluto. The T-square was exact between August 7 and August 21, the day of the horrific chemical weapons attack. To find the “way out” of a T-square, we look at what’s opposite the apex. As it turns out, Putin’s Sun at 13 degrees Libra is very close to that point, and it will stay close throughout the Uranus-Pluto square, which extends into 2015. Tumultuous events next April are going to be particularly rough for Putin, who will take heat from all sides. Obama’s current troubles will look mild in comparison. It’s almost better that Obama is getting slammed now. By next spring, some of the most difficult transits to his natal chart will have eased up. One of the aspects I’ve been watching closely is the sextile between Saturn and Pluto, with the two planets in mutual reception. The third and final of three exact alignments in this cycle takes place On Saturday (September 21), the day after Pluto comes out of retrograde and with Saturn conjunct not only Venus, but the lunar North Node, a marker for destiny. This is huge. Among other things, it’s where I see the superpowers negotiating behind the scenes for interests that have little to do with chemical weapons and dying babies. It could take months, perhaps even years, before we know what went on behind triple-locked doors. There’s no question that energy resources are involved in the conflict – not so much oil, but natural gas. A recent deal between Russia and Israel – yes, you read that right – could change the entire geopolitical landscape in the Middle East, which would have ramifications for the entire world as we know it. Syria is literally caught in the middle. There’s even speculation that the country could be partitioned – a real possibility, given that Pluto is turning direct within half a degree of its Sun. The Full Moon on Thursday is at 26°41′ Pisces, with the Sun at 26°41′ Virgo. The Sun and Moon make no aspects to other planets, although it’s worth noting that the Moon is at its fullest a few minutes after sunrise in Washington, D.C. Once again, that puts the spotlight on the president and his decision, for whatever reason, to back off from an aggressive stance on Syria. Despite his insistence that the “polls” had nothing to do with it, I have to believe that he indeed heard the resounding voice of a vast majority of Americans. I can’t remember a time when so many people from all over the political spectrum agreed on anything. Moving forward against such overwhelming public opinion would have been sheer folly, and it would have weakened his presidency far more than the accusations flying around that he’s a wimp for not making good on a threat. If I were Obama’s astrologer, I would have advised him to do exactly what he did (eventually), and I’d advise him to continue to lie low until late November. It’s also important to note that the co-rulers of Pisces, Jupiter and Neptune, both are in water signs, as are Venus and Saturn. I’m not well-versed in weather astrology, but I’m concerned about the possibility of more flooding at the Full Moon. Keep an eye on weather reports in your area. The National Weather Service issues special alerts for floods, high winds, and other major storm systems. Personally, this Full Moon pits the ideal against what’s practical. I’m all for following your bliss – a very Piscean concept – but reality checks are necessary from time to time, especially for those prone to pipe dreams. Artists and musicians need to eat, and poets need to find a way to keep body and sensitive soul together. It’s a tough balance to maintain. As an astrologer and writer, I can well attest to that. This Full Moon also pits addictive and escapist behavior against self-discipline and healthy habits. This is a good time for a detox regimen, even if it’s just for three days. The Full Moon is actually a better time to start a diet than the New Moon if your goal is to lose weight or eliminate a bad habit. Next Sunday, September 22, is the autumn equinox, when the Sun enters Libra. I’ve started analyzing the Libra ingress, but rather than writing another book-length forecast, I’ll do a second post in a few days. Before I wrap up, I’ll leave with you with my favorite links of the week. Thank you to those of you who e-mailed or posted links. It’s more important now than ever before that we stay informed. To do that, we have to look beyond the mainstream media and share what we find. This entry was posted in Forecasts and tagged full moon, mercury in libra, mundane astrology, Pisces, Saturn and Pluto in mutual reception, Uranus-Pluto square on September 14, 2013 by Pat. Pioneers. © Pat Paquette, 2013. Mercury is direct, thank goddess. It wasn’t the worst Mercury retrograde ever, but it had (for me, at least) some ugly exchanges and creepy irritations. Sounds like Pisces. Don’t get me wrong. I love Pisces. My Moon is in Pisces, and sometimes I forget that I’m not a Pisces. Last week someone told me I looked like one. Looks like a fish, swims like a fish, must be a fish? The thing is, Pisces has two distinct sides. One is creative and imaginative. The other is deluded and paranoid. I don’t know anyone with strong Pisces energy in their chart who has all the “good” Pisces and none of the “bad.” In short, Pisces energy is complex and difficult to manage, as these past few weeks have shown. Ironically, last week seemed to be the worst, even though Mars moved out of Pisces and into his own sign of Aries – or perhaps because of it. To me – and I know this doesn’t make sense, but that’s how it came to me – it was as if all the pent-up anger and frustration of Mars in Pisces suddenly was released after Mars changed signs on Monday. On the road, in the supermarket, even in line for coffee, the energy was aggressive and agitated. Mercury’s return direct today (March 17), will help, but we’ll feel a more significant shift on Wednesday, when the Sun enters Aries. Venus leaves Pisces on Thursday, and then we’ll be back to two planets in Pisces – three, if you count Chiron as a planet, which I don’t. And there will be four planets in Aries. Aries is known for being selfish, brash and impulsive, but it’s also dynamic, direct, and pioneering. 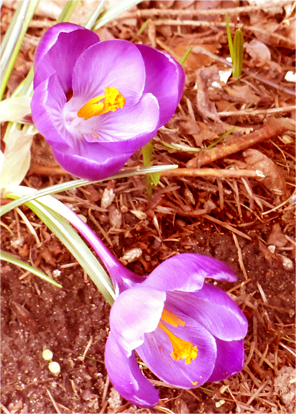 My favorite metaphor for Aries energy is the seed bursting out of its shell beneath the ground in spring and pushing its way upward toward the sun. Think of having all that weight on top of you, and you’re tiny and yet so determined that you can push through it all. It’s a difficult task requiring single-minded purpose and total disregard for anyone else in a struggle for survival. Who couldn’t use some of that strength? I know I could! That said, the Aries ingress chart suggests that the weirdness of the past week may be with us for a while longer and might color the entire year in world affairs. I say this, because Pisces is still strong in the chart, especially for Washington, where Pisces is rising and Venus is near the Ascendant. In the ingress chart cast for London, Pisces is on the Midheaven, with Cancer Rising and the Moon approaching the Ascendant. 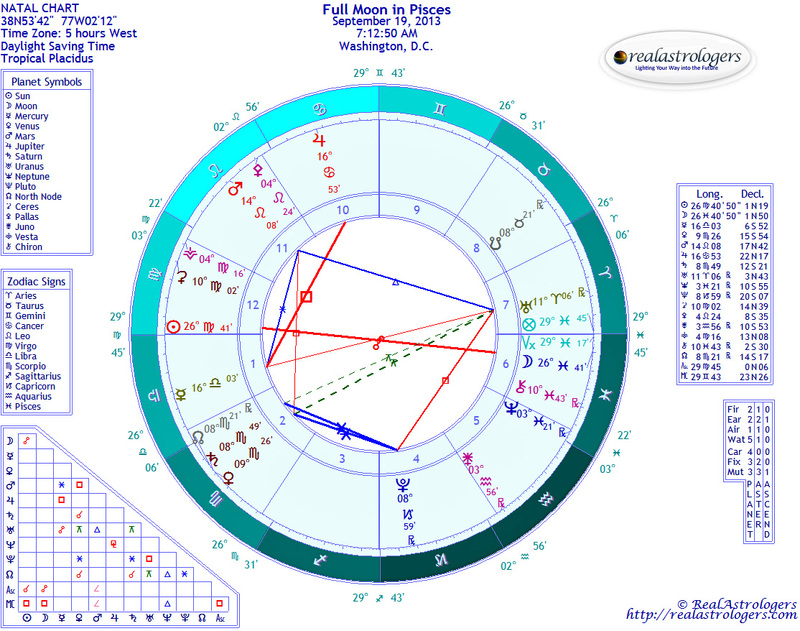 In the Washington chart, the Sun, Mars, and Uranus are in the first house. 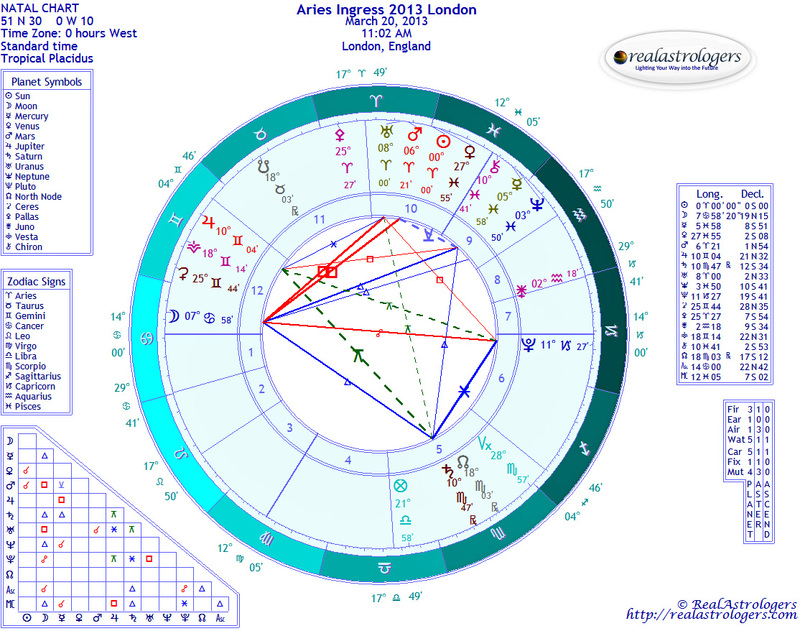 In the London chart, the three planets are in the tenth house. The optimist in me would like to interpret this split personality as a sign that we can pioneer new territory, with advanced technology and the will to use it to find solutions to the world’s problems, while placing a priority on helping the poor and dispossessed and acknowledging that scientific advancement without a simultaneous awakening in human consciousness will get us nowhere and perhaps even destroy us entirely. Of course, “human consciousness” is a squishy, Pisces sort of term. In the 17th century, rationalist thinkers believed that human consciousness was advanced through science and that superstitious beliefs such as astrology and the mystical aspects of religion would be follies of the ignorant and illiterate masses. Isn’t it ironic that this view persists four hundred years later and that science still thinks it has all the answers? I do think there’s hope, but I also think that science and spirituality (for lack of a better word) are going to make combative bedfellows. It’s anyone’s guess if they’ll kill each other before successfully mating. Terribly sorry if this isn’t practical advice for the coming week, but in the true spirit of Pisces, I believe that our thoughts, behavior, and actions reverberate into the collective, and this seems as good a time as any for a friendly reminder. It’s time for a collective reboot as the Sun moves through the final degrees of the zodiac and begins a new solar year at the spring equinox. The other big aspect this week is the conjunction of Mars and Uranus on Friday. It’s a tad scary, as this is an explosive planetary combination, and in a fire sign, too. Unfortunately, astrology isn’t much good as a predictive tool here, because we can only talk about potentials and probabilities, and events normally don’t occur at the moment of an exact alignment. When Mars is involved in an aspect, the period of influence can be a week or more. Then, I do recall one instance in which an explosion was nearly exact. Back in 2007, with Mars and Uranus conjunct to the exact degree in Pisces, a tanker truck carrying gasoline exploded near the Bay Bridge in Oakland and caused a portion of the freeway to melt. Astrologers consider Neptune, ruling plant of Pisces, as ruler of oil and gas. Jupiter, the traditional ruler of Pisces, was in conflicting aspect with Mars and Uranus by less than two degrees. Without the benefit of a chart for every tanker explosion that ever occurred, it’s hard to say whether this was just a coincidence, but you can guess my opinion on the matter. Back to this week, we’ll just have to wait and see. I certainly would caution you against blurting out your thoughts without stopping to think first. The resulting explosion might not melt a freeway, but it could ruin your whole day. For those of you interested in a forecast for spring, I finally completed the formatting for the StarGuide Spring 2013 forecast. Several people have ordered in advance, so if you want your report this week, don’t wait! this forecast includes interpretations for all three eclipses in April and May. 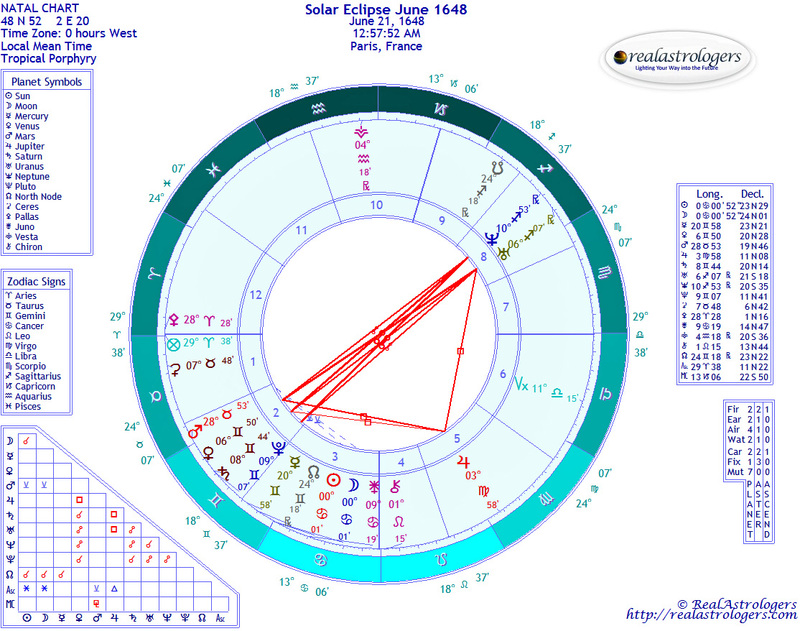 I do look at each individual chart and make notations if I see any unusual aspects in your chart – for example, if an eclipse is conjunct your Sun or Moon. This entry was posted in Forecasts and tagged equinox, Mars conjunct Uranus, Mars in Aries, Pisces, Sun in Aries on March 17, 2013 by Pat. Over the edge. © Pat Paquette, 2013. We’ve got a schizophrenic week ahead, with Mars entering his own sign of Aries right after the New Moon in Pisces and Mercury still retrograde in the foggy sign of the Fishes. As of the New Moon on Monday, the Sun, Moon, Mercury, Venus, Mars, Chiron, and Neptune are all in Pisces. Mars, however, is at the final degree of Pisces, which, as the final degree of the zodiac, is called the “weeping degree.” It is where all things must end to clear the way for a new beginning, and it represents the point at which we see that hanging onto the past is no longer possible. Among its many qualities, Pisces is the sign of escapism and delusion. It’s only human to try to imagine that everything will continue along as it is, even when we know inside that change is inevitable. And change, by definition, is destabilizing. The New Moon typically represents new beginnings, but sometimes it can bring endings, too – again, in order to start with a clean slate. 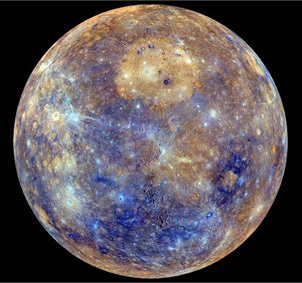 This is all the more possible with Mercury in “reverse,” but I have to remind you that we may not experience any significant movement until the following Monday, after Mercury is direct. Officially, he stations on March 17, but it can take a day or two for him to get moving again (what it looks like here on Earth). By then, Mars also will be approaching a conjunction with Uranus – an aspect that can be literally explosive, but that can translate to explosive change in our lives as well. Of course, if you’ve been looking for a change, the fast movement may be just what you’ve been waiting for, even though it could bring its own “upsets” in the sense that life can turn on its head. To get an idea of how this energy might manifest for you, look for where these planets are transiting your natal chart. If you need some help with that, I’m preparing the StarGuide Spring 2013 forecast (the start date is March 20, but you’ll get useful insight for Mars and Uranus in Aries). I still have some formatting to do, but you can pre-order anytime. The Sun and Moon don’t make any close aspects with other planets, but there are some additional aspects in the New Moon chart to consider. The Uranus-Pluto square is ever-present, setting the overall tone for this turbulent period in human history, much as we experienced in the mid-1960s. Society as a whole is in a breakdown phase, and whether you’re benefiting from these sweeping changes or being swept along on an uncontrollable tide, your personal life is impacted in some way. Perhaps you’ve sold your car and are using public transportation to reduce your carbon footprint, or you may have decided to switch to a diet that is more sustainable for the planet or healthcare products that are free of harmful ingredients. One of my best moves so far was to close my account when my bank got taken over by Chase and to switch to our local credit union. These may seem like small moves, but when millions of people do it, they become major trends with huge implications for human history. Which brings me to the second aspect, which is the sextile between Saturn and Pluto, which also are in mutual reception. I wrote about this last week and don’t have a lot more to say, except that this positive contact represents a window of opportunity to demolish what isn’t working and rebuild more sustainable structures, be they in our personal lives or in society as a whole. Mercury and Saturn are trine, as well, which bodes well for new ideas – some of which may be old ideas that were thrown out as impractical but that, due to changing circumstances, deserve another look. Mercury also has been in an ongoing square and mutual reception with Jupiter. On one hand, this can signify getting lost in details to the detriment of the big picture, but with awareness, it can be used to coordinate the details and the big picture in a compelling way. Jupiter and Uranus, meanwhile, remain in a sextile, and when Mars conjoins Uranus on March 22, he’ll also be in a sextile with Jupiter. Although it’s true that Jupiter can be a magnifier, with obvious implications for the explosive combination of Mars and Uranus, he also confers some benefits and even good luck. The actual outcome remains to be seen, of course. So, this week may be fast or it may be slow, and “fast” may be spinning wheels or it may be a fast ending. Hang in there, because Mercury returns direct on Sunday, and next week will look a whole lot different. 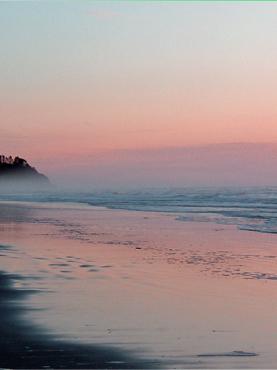 If by chance you do have an opportunity this week to hang out on the beach or in front of the TV, do it now! Rest up, because we’ll soon be heading into a period of dramatic action. This entry was posted in Forecasts and tagged Mars in Aries, Mars-Uranus conjunction, new moon in pisces, Pisces, Saturn and Pluto in mutual reception, Uranus-Pluto square on March 10, 2013 by Pat. When personality and soul fusion is complete, we are aware of ourselves as an individual and the ocean at one and the same time. It is then that Pluto, the great revealer, can step in at soul level bringing the conditions for the final transformation at soul level in Pisces. Esoterically it is said that the “final death” happens in Pisces. What could this mean, the final death? Possibly the end of Samsara. Samsara is the cycle of death and rebirth and many spiritual traditions, including Buddhism, teach that it is possible to become enlightened and finally be free of this cycle of continuous death and rebirth. We first experience Pluto’s influence in Scorpio at personality level. Pluto is a deep and mysterious planet, which was only discovered on February 18th, 1930, and incorporated into astrology after that date. In Esoteric Astrology, the Tibetan Master explains that until mankind has the consciousness to respond to the subtle influences of planets, they remain undiscovered, and such was the case with Pluto. Pluto was discovered and is now included in modern astrology, precisely because humanity now has the consciousness to perceive and respond appropriately to his subtle spiritual influence. Towards the end of the evolutionary process the disciple begins to respond consciously to the fourth indirect influence – that of Pluto, producing the death of the hindering factors and of all that prevents synthesis.” ~ The Tibetan Master DK, Esoteric Astrology. While Neptune sensitizes us to receive ever-increasing vibrations of spirit in physical form, Pluto reduces our attachment to physical form and brings us to the light. In this way we begin to more closely identify with our inner light, or soul – that which continues beyond death. While Pluto brings the cycle of life to an end, Neptune ensures we carry with us as much illumination as possible. The concept of returning to the light as an individual, enlightened being seems fundamental to the whole purpose of physical incarnation. Buddhist scripture speaks of attaining the rainbow body or “body of light,” wherein we return to the ocean of consciousness from whence we came, but with our individuality intact. We return to the light, yet are not lost in that light. The combined effects of Jupiter, Neptune and Pluto in Pisces support us in embodying and identifying with the divine light at the core of our being. As a result of our adventure into physical incarnation which began in Aries, we return to the “Father’s house” fully laden with the riches of experience, within an individual soul. If you have Sun, Moon and especially Rising Sign in Pisces, you are here to walk your individual path while holding the awareness that, at one and the same time, you are the ocean. This awareness will strengthen the power of your heart and allow the world savior (the essence of universal love) to flow freely into the world through you. This entry was posted in Guest Posts and tagged Alice Bailey, Esoteric Astrology, Neptune, Pisces, soul astrology on March 9, 2013 by Pat. Pisces Season is upon us once again, bringing with it an opportunity to check in where we are up to on the vast continuum of human experience ranging from glamour, illusion and delusion right up to enlightenment and universal love! Pisces brings us full circle, not only with the completion of one zodiac year, but in this current series of exploring the personality and soul rulers of each sign. Throughout the past year, we have followed the soul’s journey through the twelve signs of the zodiac, where the soul began as “a point of light in the mind of God” in Aries, right through to the flowering of human consciousness in Aquarius, and finally arriving here at the sign of the world savior in Pisces. The “world savior” referred to here is the recognition of humanity’s true role in respect to our Mother Earth, when we have fully blossomed as a species and all our hearts beat as one as the “sacred heart” of humanity in Pisces. We have discussed how the planetary rulers are space-holders or custodians maintaining the necessary conditions for specific stages of development in the evolution of human consciousness, and three planets are important when we look to the human experience in Pisces. Jupiter and Neptune are custodians at personality level, while Pluto is the custodian at both soul and hierarchical level. This speaks to the transformative potential inherent in Pisces. Last month, we saw how Jupiter’s role is one of expansion, fusion and synthesis, and since there is a degree of overlap between stages (and therefore signs) this process continues as the soul enters Pisces. Hence Pisces has two custodians at personality level. The expansive conditions of Jupiter create a greater capacity in us to perceive and respond to the subtler energies of Neptune. Neptune’s influence on human development began in Cancer at soul and hierarchical level, and by the time the soul has reached this stage of development in Pisces, the individual is now sensitive enough to receive Neptune’s energy at personality level. You are the ocean in a drop. For most people who are still on the mutable cross (see the Capricorn article in this series for a summary of consciousness described in terms of the three crosses), the experience with Neptune in Pisces can be one of being swept away by the ocean, going with the flow, and falling deeper into glamour, illusion and escapism. This is because they have not yet completed the individuation process, which begins in Leo and completes in Capricorn. The whole story of the incarnation process in astrological terms, from Aries up to this present point in Pisces, has been one of personal experience through individuation. 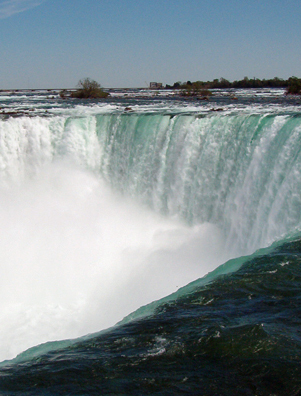 Individuation is a vital stage in the evolution of consciousness, for without it, we cannot return to the ocean intact with the remembrance of our experience as a drop. 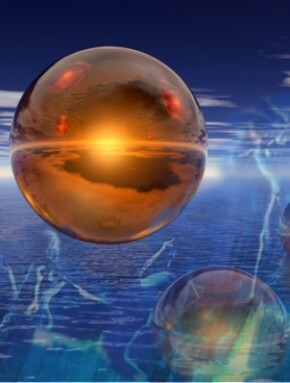 Neptune’s job at personality level is to dissolve limiting physical and mental conditions that would impede the influx of spirit in physical matter in the form of universal love, so that we may once again remember the oceanic nature of our consciousness, the divine love within and experience this within the context of our individual physical incarnation. If the effects of Neptune are felt before we have successfully completed our individuation process, then we can experience problems with addictive and co-dependent behaviors as we will be challenged to set appropriate personal boundaries in our individual sphere of influence. Hence some of the pitfalls for Pisces at personality level. How we experience and respond to Neptune’s universal influence depends upon the degree of our own individual consciousness. If we are on the mutable cross, where we are still personality identified, we will experience Neptune’s energy as illusion and delusion, where we can become lost in the thick fog of mass consciousness. If we are on the fixed cross, we are beginning to awaken spiritually and we will experience Neptune as a planet of universal love. He shows us that our true nature is one of oceanic consciousness, that we are an aspect of divine love and that all separation is illusory, so we may begin to appreciate our underlying spiritual reality. It might be helpful at this point to make a clear distinction between individuation and separation. Individuation and separation are not the same thing. The fingers on your hand are individual; they have the capacity to move independently of one another, and have individual experience. You may hurt one finger for example, while the others remain unharmed. They are not ever, at any point, separated from your hand. If they become separated, they die. Likewise, while it is vital and necessary for the evolution of human consciousness that we each have the capacity to move independently from one another and have our own individual experience we are never, at any time, separated from the whole body of humanity. At the level of consciousness, we are connected and we experience one another’s pain. We’ll explore this idea in Part II, the last article in this year-long series, and we’ll also introduce Pluto as a soul ruler of Pisces. This entry was posted in Guest Posts and tagged Alice Bailey, Esoteric Astrology, Neptune, Pisces, soul astrology on March 6, 2013 by Pat. It has been a strange week, with all this Pisces energy and Mercury retrograde. I’ve been doing some historical research – Pisces loves going back, as does Mercury retrograde – and have dug up some amazing information and startling synchronicities. As I see it, working with planetary energies is precisely the point. You might well ignore a forecast for violent thunderstorms and decide, “I want a picnic and I’m going to have it come hell or high water!” Undoubtedly, there are people who love being out in the elements, delighted with the freedom and adventure of soaked underwear and soggy sandwiches. It’s all in the attitude, right? Call me a stick in the mud, but if I knew a raging thunderstorm was on the way, I’d be bringing in firewood, taking a quick trip to the library, and making a pot of hot soup. It’s hard for me to understand how an astrologer could argue that Mercury retrograde periods are innocuous to the point of being irrelevant, and that thinking otherwise will attract the very experiences you hope to avoid. In other words, if Mercury is retrograde and you get stuck in traffic, miss your flight, and as a result miss an important meeting, it’s a self-fulfilling prophesy created by your own superstition and fear of Mercury retrograde. I would say just the opposite. With a healthy respect for Mercury retrograde, you would make sure to give yourself lots of extra time to get to the airport, and if the meeting was that important – if your entire future depended on it – you might consider departing a day early and staying overnight. The mind does have incredible power, and it is possible to conjure up our worst fears. But it does not follow logically that if something bad happens, it must be because we unwittingly caused it through fear, erroneous thinking, or some other failing. Now, this is a nice segue into my historical research, which centered on 17th century Europe. This was a critical period in human development, when science and metaphysics split, and anything that couldn’t be proven by “scientific method” was discarded as superstition. Astrology was one of the first casualties, and the attitudes of science today against astrology, religion, and other spiritual beliefs might as well be lifted right out of 17th century manuscripts. While Europe itself was in turmoil, with wars that radically shifted national boundaries and the center of political power, philosophers argued fundamental concepts of God, fate, the nature of the soul, and man’s place in a universe of which the earth was no longer the center. And here we are, 400 years later, embroiled in similar arguments. Science, it seems, has not lived up to its promise of providing all the answers to the meaning of life. It hasn’t even provided all the answers to questions about the material universe, let alone humanity’s place in it. Among the trends at the time, there were several popular uprisings against rulers in Europe and elsewhere, leading one Swedish diplomat to wonder “whether this can be explained by some general configuration of the stars in the sky.” He was more right than he possibly could have imagined. In 1648, when an uneasy treaty ended the devastating Thirty Year’s War, Uranus, Neptune, and the lunar South Node were in near exact opposition to Pluto, Saturn, Mars, and the North Node, with Jupiter in a close square. I’ve included the chart for a solar eclipse on the summer solstice in 1648 so you can see for yourself. Even without the benefit of the outer planets, which hadn’t been discovered yet, astrologers were so alarmed that they were predicting the end of the world. Of course, this didn’t help their professional status and might even have led to the “end of the world” for astrology. But they were onto something nonetheless, and now that we have the benefit of hindsight to analyze outer planetary cycles, we know that such an intense planetary configuration was bound to manifest as turbulence on earth. Incidentally, a wave of extremely cold weather began around the same time, which some climatologists later declared was part of a “Little Ice Age.” Coincidence? One of the main reasons for assaulting astrology in the 17th century was the question of fate. The idea that our fate may lie in the stars went against science and the Church, and it still does. But fate and free will aren’t mutually exclusive. Using the example of retrograde Mercury, is it written in the stars that you’re going to lose your best friend and everything on your hard drive? Certainly not. But depending where Mercury is retrograde in your chart and what aspects he’s making with other planets, you may be at a higher risk for these outcomes. Free will enters the picture in that you have a choice to ignore the warning and take your chances, or to take reasonable precautions and hedge your bets. I can’t foresee everything in everyone’s individual charts, so I give you general guidelines in my weekly forecasts. You get more specific guidelines in my StarGuide seasonal and monthly reports. The Sun and Mercury conjoin on Monday, so it’s quite possible we’ll get to make some additional observations. My read on this aspect is that it holds potential for being productive, especially if you’re writing songs, poetry, or fiction. This is also a signature for vivid dreams that could produce other kinds of inspiration. Keep your journal handy. Less than an hour later, Venus squares Jupiter, which can improve communications and good feelings considerably, especially if there is alcohol involved. Just take care not to overdo it. The bigger news this week is the exact sextile between Saturn and Pluto, who also are in mutual reception; that is, Saturn is in Pluto-ruled Scorpio, and Pluto is in Saturn-ruled Capricorn, thereby magnifying the energies of each and making them greater than the sum of their parts. Saturn and Capricorn are about structure, discipline, and progressing toward a goal one step at a time. Pluto and Scorpio are about destruction, transformation, and unquenchable desire. Combined and in a favorable relationship, these two manifest as stunning breakdowns in order to rebuild more sustainable structures. This can apply to just about any area of life, although you’ll likely find it most operative in the areas of life ruled by the houses in your natal chart that Saturn and Pluto currently are transiting. This pair is even more significant in world affairs. My favorite example is the American Revolution, which is what happened the last time Saturn and Pluto were in mutual reception. There was definitely a whole lot of breaking down there. We’ve got another two years of this influence, and it’s likely that some radical shifts will happen in that time, since Pluto also is in an ongoing square with revolutionary Uranus through 2015. On Wednesday, Mercury conjoins Venus, and throughout the week, they each conjoin Chiron, sextile Pluto, and trine Saturn. The involvement of Mercury and Venus bring the transformative power of Saturn and Pluto down to a personal level. Again, I expect that the more creative among you will find major inspiration this week, and the ideas that come to you should be useful. Pisces has a reputation for being a poet, a dreamer, and an escapist. With powerful aspects to Saturn and Pluto, dreams can become reality, and even escapist tendencies could produce something of lasting value. For me, creativity is definitely highlighted, and Mercury’s retrograde, combined with an overflow of Pisces, seems to be carrying me on an enlightening journey back through time. But I’m finding that this time is best spent working in solitude, one of the key traits of Pisces. Where communications are particularly sensitive and vital to the success of a project, I’ve deferred further activity until the end of the month. In celebration of Mercury, I leave you with a new NASA video created from images from the MESSENGER spacecraft, including the one above. Please note that this is not the actual color of Mercury. Still, it’s pretty darn cool. This entry was posted in Forecasts and tagged Mercury retrograde, Pisces, Saturn and Pluto in mutual reception on March 3, 2013 by Pat.